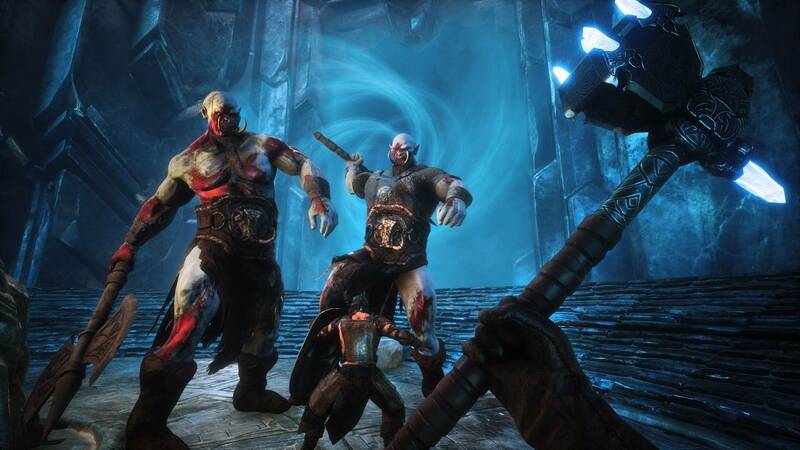 Varied character customization; high quality graphics; character journal helps guide your adventure; thrall enslavement is a unique twist; boss fights test your skills. Constant frame rate drops; ungodly number of bugs and glitches; game balance is seriously lacking; overly long crafting times; setting up bases is a chore. Survival games are an odd duck for me. On one hand I love nothing more than struggling against man, beast and environment to eke out a meager living in these games. But on the other hand, I loathe playing them online since even PvE servers are drowning in clans who make your life harder than it needs to be as well as straight up griefers. This means that normally I’ll play private games with friends and avoid these issues entirely. 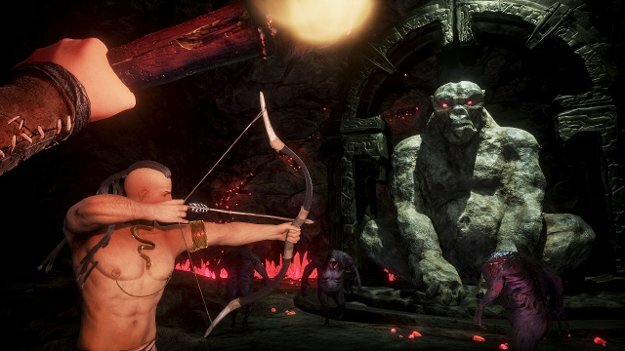 Imagine my surprise when this proved to be intensely problematic with Conan Exiles. 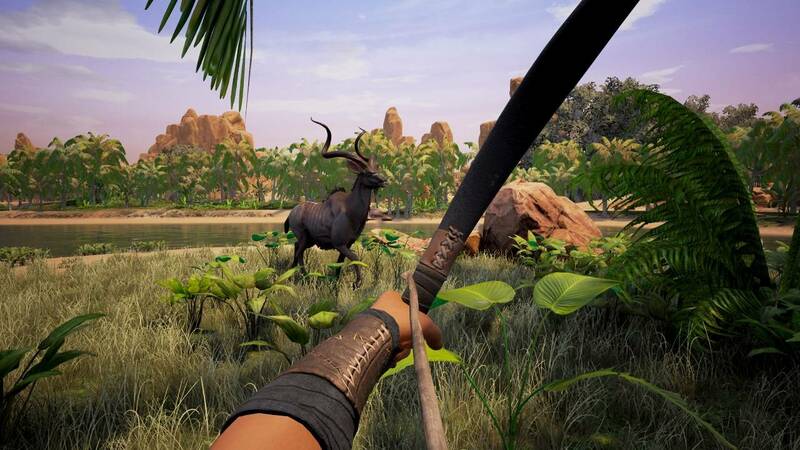 Conan Exiles has a simple setup. You are a criminal, falsely accused or not, who has been strung up on a cross in the so-called Exiled Lands. Freed from your cross by Conan himself, you embark on a trek to survive these blasted lands. You’ll harvest minerals, battle monster and man, slay fearsome boss creatures and finally attempt to find a way to escape this death sentence. 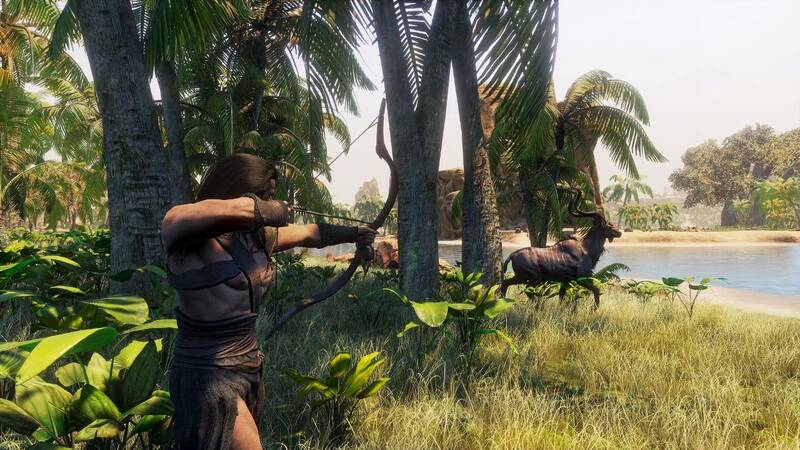 While many games struggle to put their best foot forward Conan Exiles wastes no time. You’re presented with a very in-depth character customization screen, including the size of your jiggly bits and what god you wish to follow. Customize to your hearts content, name your character and you’re deposited into a desert with literally nothing but a water skin. Have fun! Continuing with the “best foot forward” thing the game has going on, Conan Exiles is a damn good-looking game. The environments are damn pretty. Walking through a lush jungle, a ruin strewn desert or highlands can be awe-inspiring if you just stop to take it in. Making this easier is the fact that the game allows you to climb almost everything you see. I found myself climbing up the mountainsides to take in the view regularly. The down side of the game being so pretty is that the frame rate just absolutely chugs at times. Walking through an empty desert? Chug. Fighting off four enemies at once in a jungle? Chug. Running for your life in the frozen north? Chug, chug, chug. It doesn’t really seem to be linked to online play, internet speed, density of objects in your immediate area or anything else I could narrow it down to. It just seems like the game engine cannot handle the game itself. On PC there might be workarounds for this but on consoles it makes the experience quite annoying. Doubly so if you happen to be on a server where you are experiencing a lot of actual lag. 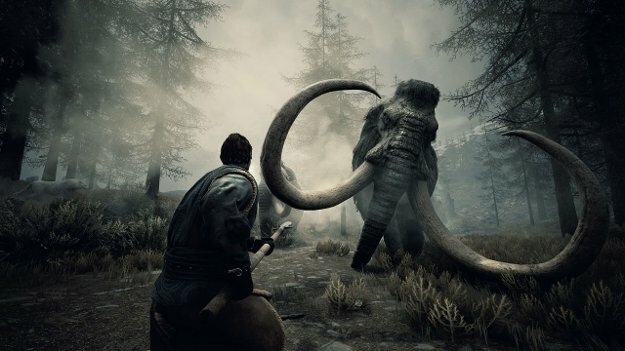 Most of these open world survival games play pretty much the same and, in that regard, Conan Exiles follows the pack. You’ll gain experience as you play, gather resources, pick skills that unlock new crafting recipes and keep repeating this process until you break down in tears. If you’re not already familiar with the routine, you will be after a few hours. What makes it bearable are the unique ways that the individual games interact with the base mechanics. 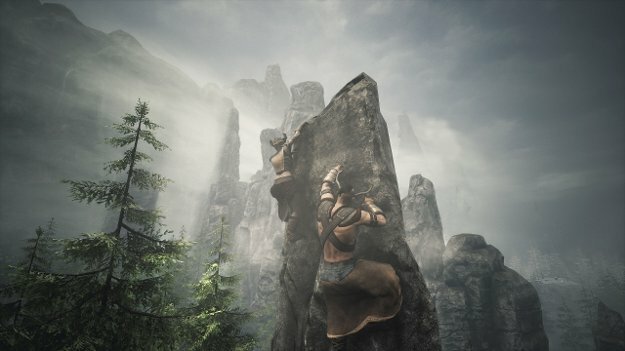 Conan Exiles provides you with two things to help. First, and foremost, is the character journal. As you play the game you will be given journal “steps” to work towards. Examples of these would be to wield a steel weapon, defeat a specific boss enemy or to reach a new area. Completing these earns you a hefty chunk of experience, matched only by some of the high-level crafting. The journal is an excellent mechanic since it helps to guide your experience. It’s a great indicator of when it’s time to move on to a new weapon type or try to clear a dungeon which helps move you forward with the game. Some people might avoid the bosses in a game like this, so the journal helps encourage it. This is good since these fights are some of the best combat in the game. 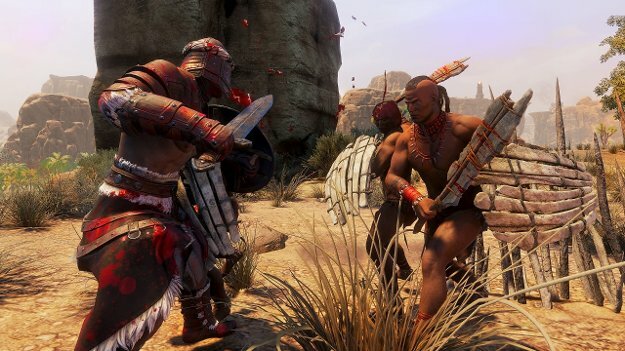 Your average fight is a quick and dirty affair in Conan Exiles. If you can dodge or use a shield effectively they tend to be easy and over with quickly. Only the largest, toughest enemies require any real effort to dispatch. This makes the boss fights rather interesting since they all have unique elements to them. One sees you battling a snake beast that won’t leave the pool of acid it sits in. This requires baiting it out in a long, arduous dance. Another will require you to dodge between laser blasts while battling giant golems. It’s awesome. But as cool as that is it also reveals a bit of the problem with the game. Much of it is, to be frank, boring. During the early game survival is hard as hell. Fights to gather necessary food are brutal. Gathering crafting supplies is a struggle since your tools keep breaking on you. It stays like this until you get to the point where iron is readily available to be used for tool crafting. From here things get a lot easier for quite some time. So long as you stay in the desert that is. 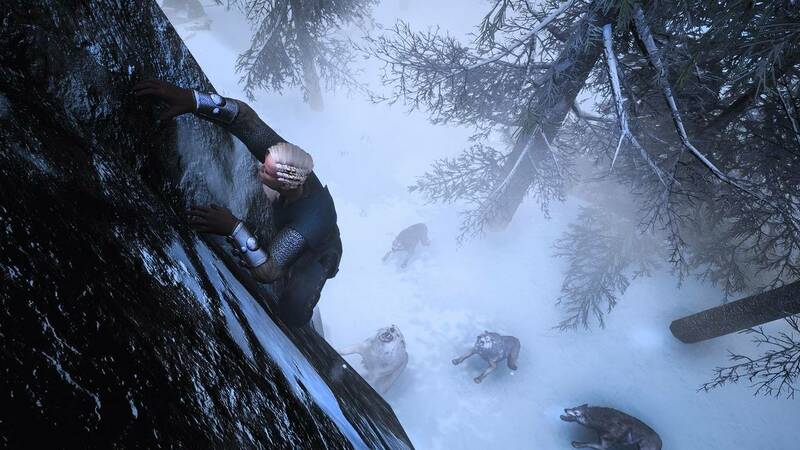 But if you want to go into the jungle or the highlands area you’ll find enemies are intensely difficult. 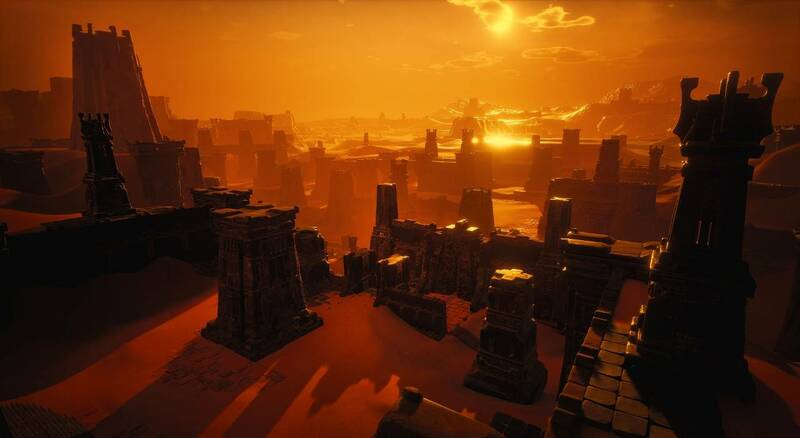 So you’ll end up staying in the desert for the longest time or living in “safe” spots in the harder areas while trying to eke out a more interesting living than the desert provides while realizing that there’s little to no real advancement until you reach maximum level. This is a huge issue with the game. There just isn’t enough game in the middle to keep it entertaining. If you’re on a PvP server then you’re apt to fill this time fighting other players but good luck with that. Most PvP servers have gank squads of max level characters with the best equipment ready to handle anyone trying to have this “fun” you speak of. But, if you’re on a PvE server there isn’t much to do. Most of the bosses require max level, or near to it, to reach and defeat. 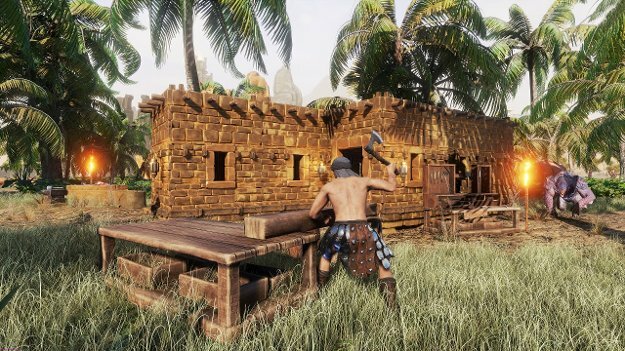 Conan Exiles has a unique mechanic to call its own: you can enslave humans to help around your base. Assign an armorer to an armorer’s bench and he’ll add efficiency to your crafting, as well as potentially unlocking unique crafting recipes. But breaking these humans takes about two hours per rank. While you wait you figure that you’ll just build up your base. That’s when you realize that building your base is even more tedious. Say you want to put up the rank two walls around your base. A single wall of stonebrick takes five bricks, two shaped wood and two iron reinforcements. But each brick requires ten stone stuck in the furnace, which is slow as heck and shaped wood takes ten wood. Iron reinforcements require an iron bar which in turn requires two ironstone, all burnt in the furnace. What this means is that to make a single piece of stonebrick you’re going to need at least two furnaces, one burning ironstone and one baking stone. Each of these furnaces will require wood to kindle the fire while you’ll also need wood to craft the shaped wood at another workbench. Then multiply that by how many of each item you need and take note of how slowly they craft, especially anything in a furnace, and you it starts to really wear on you. It can take dozens of furnaces going at full bore nearly all day and night to really produce what you need to build and maintain bases. All the time and materials you’re going to burn building bases would be fine if it was worth it but it just really isn’t. You’ll fight the bugs almost as much as the enemies. These range from small, like it raining 24/7 even while indoors, to the frustrating, like when the game stops spawning world objects. Glitches like the loading problem will require a restart which can take forever if the server is busy. Almost all of these are exacerbated if you try playing the co-op game mode since the game just absolutely loses its mind if you’re trying to play with your friend in a private game. I like Conan Exiles. I’ve dumped at least four hundred hours into exploring and escaping the Exiled Lands. But there are so many fundamental issues with the experience. 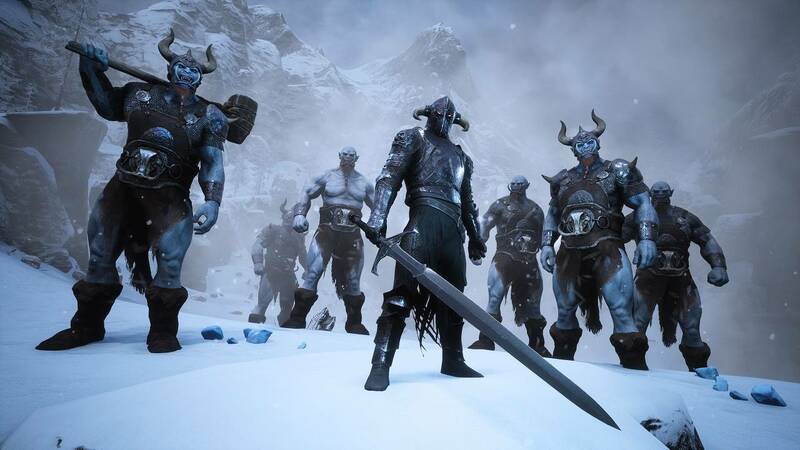 The game is a time sink on the level of an MMO and has just about as much repetition. It’s just a draining, exhausting experience. Other players can alleviate the strain but they’re just as apt to make it even worse. 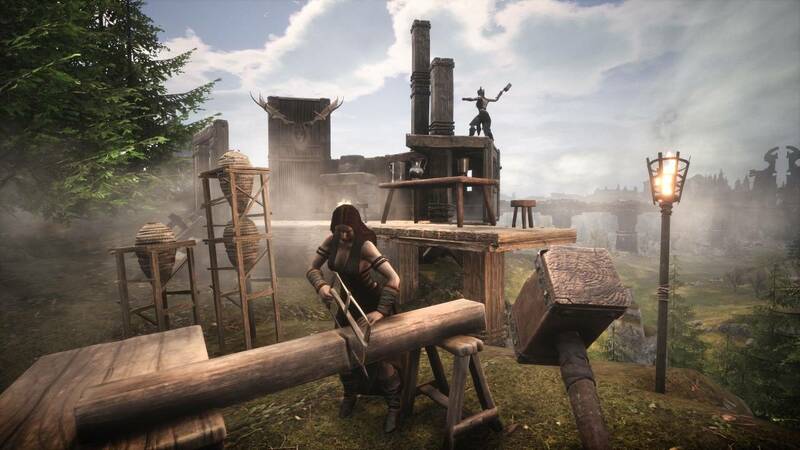 If you want to play Conan Exiles take my advice: rent a private server, get some friends to play with you and set the crafting / harvesting times to more amenable numbers. It gets so much more fun when you spurn the artificial restrictions it lumps on you.